Beginning Wednesday, the larger Christian community will begin to prepare for the celebration of the Passion and Resurrection of Jesus Christ. This season of preparation, Lent, has several themes, including self-examination and repentance from sin, prayer, fasting, self-denial, and meditation on God’s Word. 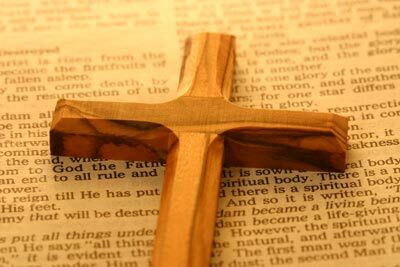 The time of preparation lasts forty days, from Ash Wednesday (February 13, 2013) until the beginning of Holy Week. These days of Lenten observance mirror the forty day fast of Christ in the desert while enduring the temptation set before Him by Satan. The Lenten season is not found in Scripture as an organized remembrance. It began in the early centuries of Christianity as a period of preparation for converts who were candidates for baptism during the Easter celebration. This season of preparation was also a primary period for reconciliation for those in the body of Christ who had strayed from the faith to be restored in repentance and faith. Lent developed into a time for the entire church to prepare their hearts for the Passion and Easter seasons through self-examination, repentance, and reconciliation. Francis Poulenc set four texts in remembrance of the Lenten season during 1939. Quatre motets pour un temps de penitence were composed following a religious resurgence in his life. All four motets exhibit moments of restraint and reflection as is characteristic of the season of Lent. He also includes the drama of dealing with personal sin during Lent in the motets by use of the outer ranges of the voices, producing intense moments of introspection. Poulenc’s Lenten works present many human responses that arise during the period of preparation for the remembrance of the Passion and Resurrection of Christ. That you would crucify me and set Barabbas free? I built a fence around you and picked the stones from you and built a watchtower.